Join host, Robert Forto as he welcomes Alea Robinson to Mushing Radio. 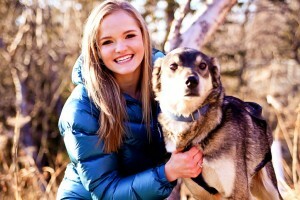 It is not surprising that Alea Robinson won the Race to the Sky sled dog race this past week in Montana. Why? She has been on the runners since she was a little girl. Even though the teen had to get special permission to run in the race, her win proves she can run with the “big boys” in one of the Lower 48s premiere sled dog races.